Zippy Cars fly over the finish line at breath-taking speed. Who wants to race another round? 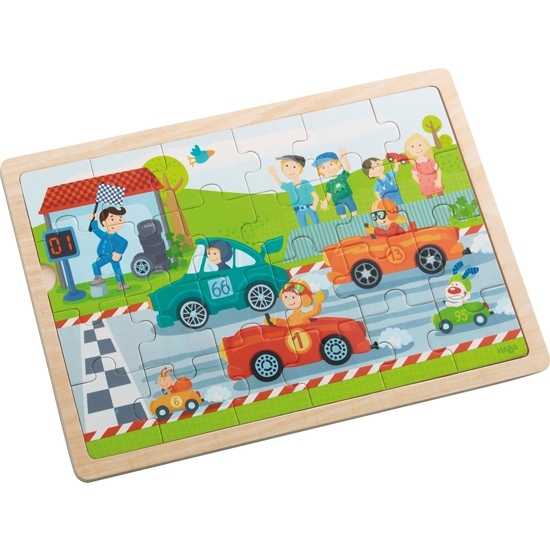 Puzzle the 24 wooden pieces together and they‘re off!